Toyota today claims that its new Prius Plug-in offers lower whole life costs than the Vauxhall Ampera and Peugeot 408 Hybrid4. In addition to this, Toyota asserts a £3,587 advantage in specification and price under the Vauxhall Ampera. Toyota states there is no other car on the UK market that exactly matches the benefits offered by its Prius Plug-in Hybrid Synergy Drive full hybrid powertrain: it offers the near-silent, zero emissions performance of an electric vehicle, being able to run on its lithium-ion battery for around 15.5 miles (v/s 30 miles for the Ampera) and at speeds up to 51mph. When battery charge runs low, the car’s full hybrid system – which includes a highly efficient 1.8-litre petrol engine – takes over, so the driver doesn’t have to worry about whether the car has enough power to reach its destination. Compared to the Ampera, which uses a petrol engine as a “range extender” to support the electric motor, Prius Plug-in offers a higher specification, more seats on board and can save almost £2,000 on costs over three years/60,000 miles with its greater range and quicker battery charging time. 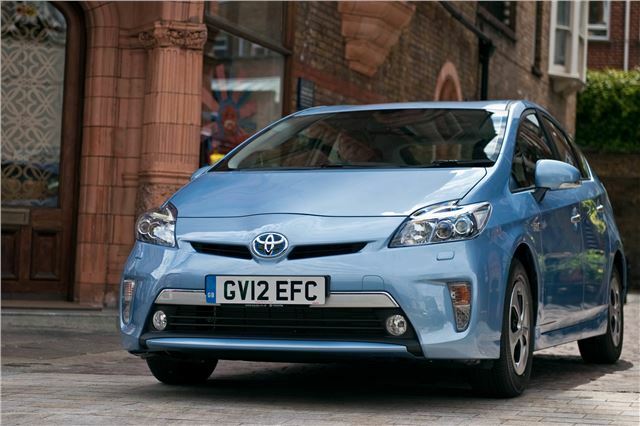 For company car drivers Prius Plug-in attracts a five per cent benefit-in-kind tax rating for the first three years, rising to 13 per cent in year four. For fleet operators it benefits from a 100 per cent write-down allowance in the first year. And for all owners, the 49g/km CO2 figure means there is no annual road tax (VED) bill to pay, plus exemption from theLondon congestion charge. "quicker battery charging time" is very misleading. Both cars charging on an ordinary mains lead take about 6 or 7 minutes per mile of range. The Toyota is three times faster to charge than the Ampera but only gets one third the electric range. I'm not sure where that £2.20 for a full Ampera charge comes from either: it takes 12.5kWh from the mains to fully charge an Ampera (and you then get 10.8kWh back out of the battery). That would mean you would have to pay 18p per unit of electricity when normal rates are nearer 13p. It looks to me as though they've assumed a full charge is 16kWh which is the full capacity of the battery (and would mean they've used 13.75p per unit which is nearer the mark), but the Ampera never runs the battery flat and never charges to 100%. An actual charge on standard rate electricity costs less than £1.70 or about 3.7p per mile.